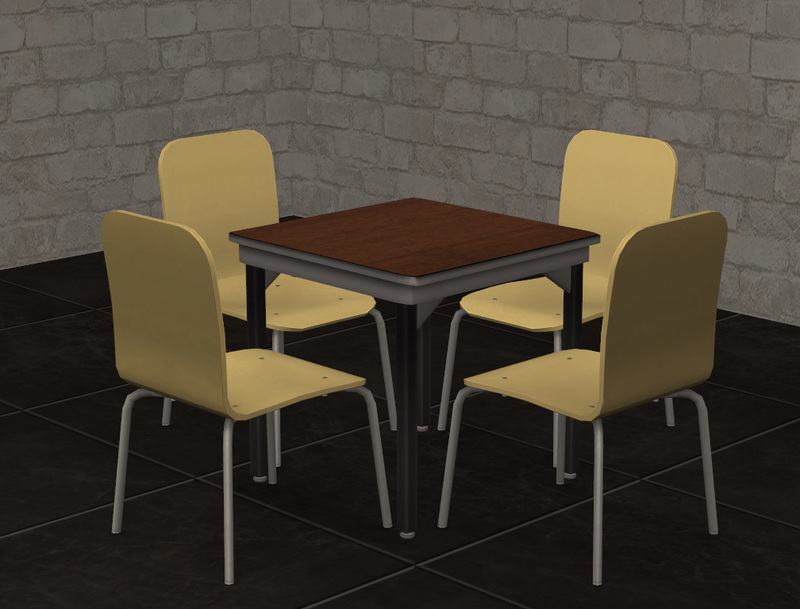 A one and two tile version of the Myne Cafeteria Table. 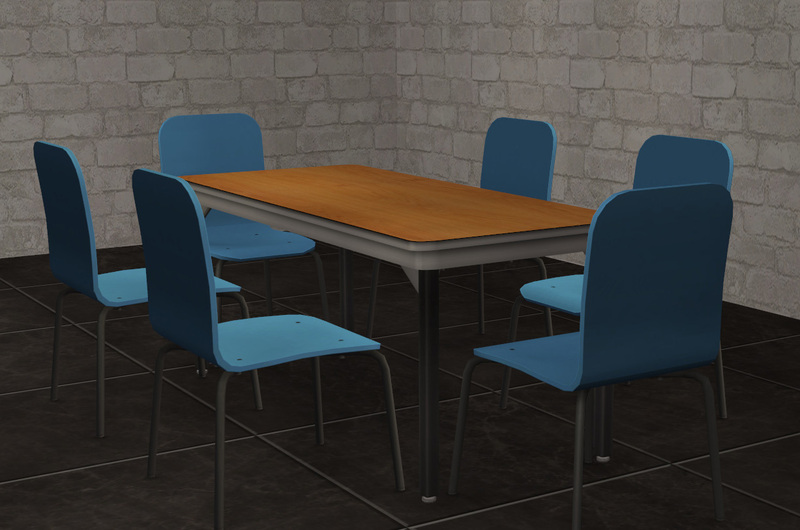 The tables are slaved to the originals so they'll pick up any recolors you have and University is required. An edit to the basic chair that came with IKEA. 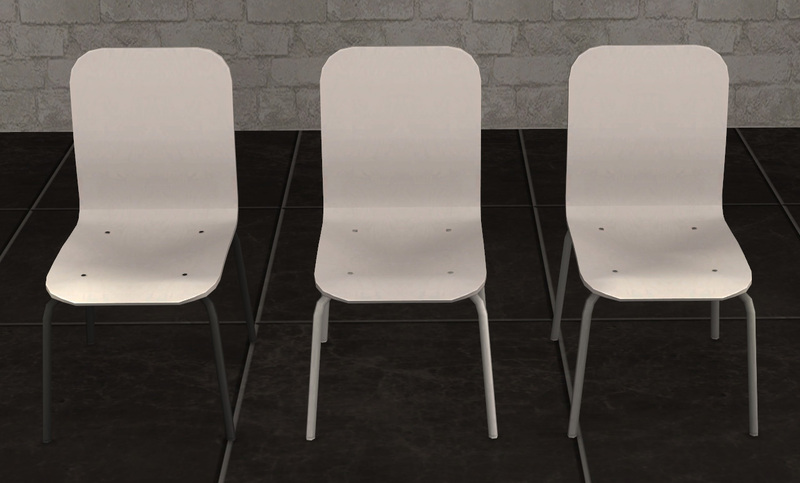 The chair comes in a handful of colors and there's additional "Basic Ten" recolors bundled together. You can't pick and choose. Any graphics issues you might have with the originals will carry over to these. 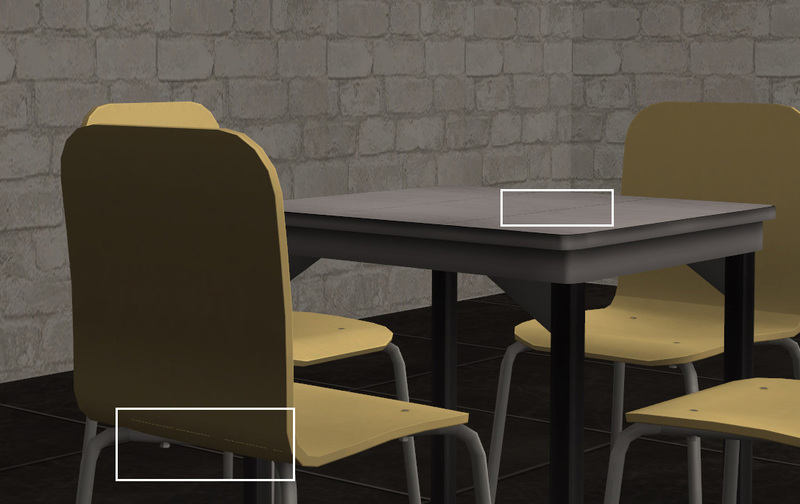 The mapping on the chair back is stretched/distorted in places. SimPE, Milkshape and EA for the meshes and textures.